SPRINGFIELD, Mo. --Whit Fosburgh, president and CEO of the Theodore Roosevelt Conservation Partnership (TRCP), and Jeff Crane, president of the Congressional Sportsmen's Foundation (CSF), were named Bass Pro Shops 2014 conservation partners of the year. Fosburgh was recognized for TRCP's work to guarantee American sportsmen access to quality places to hunt and fish by uniting and amplifying their partners' voices to strengthen federal policy and funding. In 2014, their impact was powerfully felt as a result of their work to ensure recreational saltwater anglers were well represented as Congress revises the Magnuson-Stevens Act, the law that governs our nation's marine resources. "Whit Fosburgh and the Theodore Roosevelt Conservation Partnership are so deserving of recognition, and all of us at Bass Pro Shops are honored to be their partner," said Bass Pro Shops founder and CEO Johnny Morris. "They are a leader in the conservation world, able to bring together their many partners to identify shared areas of concern so they can work on those conservation priorities." "I am honored to accept this award on behalf of the Theodore Roosevelt Conservation Partnership. Johnny Morris and his team at Bass Pro Shops have long been leaders in advancing conservation that speaks to the priorities and values of the sportsmen's community," Fosburgh said. "We at the TRCP value our partnership with Bass Pro Shops, and we look forward to continued opportunities to work together to conserve fish and wildlife and their habitats - and expand access for all Americans to hunt, fish and enjoy our nation's lands and waters." A major undertaking for TRCP in 2014 was their leadership role in assembling an expert panel of state and federal agency administrators, researchers, industry representatives, and economists to promote a proactive vision for saltwater fisheries management. The Commission on Saltwater Recreational Fisheries Management, which was co-chaired by Johnny Morris, founder and CEO of Bass Pro Shops, and Scott Deal, president of Maverick Boats, released A Vision for Managing America's Saltwater Recreational Fisheries. This landmark report identifies six key policies that would conserve marine fishing resources while producing the full range of saltwater recreational fishing's economic, social and conservation benefits. This groundbreaking community effort has seen great success already. The Commission's priorities are supported by members of Congress and are included in draft Magnuson-Stevens reauthorization bills. In addition, NOAA Fisheries committed to achieving the Commission's first recommendation, to develop a national recreational fishing policy, and it is expected to be released in early 2015. Fosburgh, who joined TRCP in 2010, has played a key role in uniting sportsmen on behalf of improving access to high-quality hunting and fishing areas. Prior to working at the TRCP, Fosburgh spent 15 years at Trout Unlimited, playing a critical role in that organization's evolution into a conservation powerhouse. Additionally, Fosburgh served as fisheries director for the National Fish and Wildlife Foundation, was chief environment and energy staff person for Sen. Tom Daschle and was a wildlife specialist for the National Audubon Society. Crane was honored for CSF's work with Congress, governors, and state legislatures to protect and advance hunting and angling and conserve this country's fish and wildlife resources. "All of us at Bass Pro Shops are proud to recognize Jeff Crane for everything his organization has done to champion legislation that benefits conservation and our outdoor traditions," said Morris. "The Congressional Sportsmen's Foundation is one of the foremost organizations for making sure the sportsmen's voice is heard on Capitol Hill as well as state capitols across the country." "The Congressional Sportsmen's Foundation is honored to be recognized as a conservation partner of Bass Pro Shops. As a leading outdoor retailer, Bass Pro Shops understands that conservation policy is vitally important to the future of our sporting heritage," Crane said. "Their commitment to conservation and outdoor interests is evident in many ways. By partnering with CSF, Bass Pro Shops helps link the hunting and angling community to sportsman-legislators within our federal and state caucuses. And in addition to being a Diamond-level Council Member, Bass Pro Shops John Paul Morris generously gives of his time by serving on our board of directors. We look forward to building on this partnership as we face the conservation policy challenges that lie ahead." To accomplish their mission, CSF works with the Congressional Sportsmen's Caucus, one of the largest and most effective caucuses in the U.S. Congress. The bipartisan Congressional Sportsmen's Caucus has nearly 300 members of the House and Senate representing almost all 50 states. The CSF also works at the state level though a network of state legislative sportsmen's caucuses. The bipartisan National Assembly of Sportsmen's Caucuses (NASC), which launched in 2004, includes 44 state legislative sportsmen's caucuses (over 2,000 state legislators) that share information and ideas. Formed in 2009, the CSF's bipartisan Governors Sportsmen's Caucus (GSC) supports communication and information exchange between participating offices in support of policies and regulations that promote and advance hunting, angling, and conservation. The GSC, which consists of 29 members, complements and enhances the Congressional Sportsmen's Caucus and the National Assembly of Sportsmen's Caucuses. Crane, who joined CSF in 2002, brings over 30 years of experience in on-the-ground natural resource management and policy expertise at the federal, state and international levels. A life-long outdoorsman, Crane ensures a steadfast and successful relationship between the National Assembly of Sportsmen's Caucuses, the Congressional Sportsmen's Caucus and the Governors Sportsmen's Caucus. He develops and manages the organization's business strategy and policy priorities, and serves as the primary liaison between CSF and leaders within the governmental and non-governmental conservation community. Fosburgh and Crane received the awards from Morris during a special ceremony for associates, which was held at Bass Pro Shops national headquarters in Springfield, Missouri. Past winners of the Bass Pro Shops Conservation Partner of the Year Award include Dale Hall of Ducks Unlimited, Wayne LaPierre of the National Rifle Association; Jeff Trandahl of the National Fish and Wildlife Foundation; Rob Keck of the National Wild Turkey Federation; Richard Childress of Richard Childress Racing; Dave Murphy, executive director of the Conservation Federation of Missouri; Sarah Parker-Pauley, director of the Missouri Department of Natural Resources; Bob Ziehmer, director of the Missouri Department of Conservation; and John Hoskins of the Missouri Department of Conservation. Bass Pro Shops, which specializes in outdoor fun, operates 90 retail stores and Tracker Marine Centers across America and Canada that are visited by more than 120 million people every year. Bass Pro Shops stores, many of which feature restaurants, offer hunting, fishing, camping and other outdoor gear while their catalogs and website serve shoppers throughout the world. The company's Tracker Marine Group(R) (http://www.trackermarine.com), a leading brand of fishing boats for more than 36 years, manufactures and sells a variety of boats for fishing and cruising. Family fun is on tap at Bass Pro Shops resort Big Cedar Lodge(R) (http://www.bigcedar.com), voted number six by Travel + Leisure Magazine as World's Best Hotels for Families. 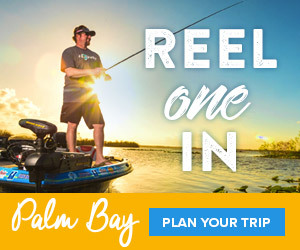 For more information, visit www.basspro.com. To request a free catalog, call 1-800-BASS PRO. Follow us on Facebook at http://www.facebook.com/bassproshops.